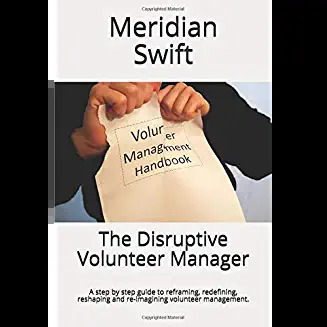 We all know volunteer feedback is invaluable, during and after projects and assignments. There is also value in gathering feedback from former volunteers who have had the time to process their experiences and take aways. Recently I was able to catch up with a retired volunteer, Ellie, and I asked her to look back on her years of volunteering for a hospice. VolunteerPlainTalk (VPT): How many years did you volunteer? VPT: That’s a long time. E: It was a long time, but it was good. VPT: What was your favorite part of volunteering? E: Hmmm, my favorite part. I liked the idea of giving and I always felt that I was receiving so much in return, but I guess you hear that a lot. VPT: Do you remember the beginning? E: Yes. I remember my training. At the end of training, the volunteer trainer handed me my first assignment. She told me that she believed I was ready. And she took me over to the window and pointed to the house of the person I was assigned to. She sort of let me know that it wasn’t far away and I would be close to help if I needed it. VPT: How did that go? E: I was nervous, but I felt prepared. VPT: Was your first assignment the impetus that kept you going? E: Actually, it was my first long-term patient, who came right after. We became incredibly close. Before she passed away, she said that she had added one more daughter to her family. And shortly before she died, she called me in and said that she needed to know that I was going to be ok. The extent of our connection was something I never expected. 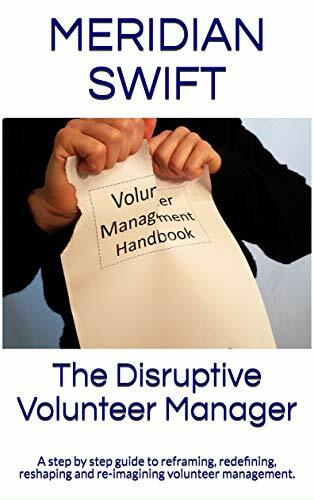 VPT: How much of a role did your volunteer manager play in your success? E: Oh my goodness, so much. The fact that my trainer and my supervisor, Jim trusted me, had faith that I could do this was huge. And, I always felt that if I had a question, he would be there. I remember I was sitting with one patient whose wife had a part-time job. He had a morphine drip and he thought it wasn’t working and he said to me, I don’t understand why this is not working, can you find out? Now, I have no medical knowledge at all, but I immediately got on the phone and my supervisor got me to the right person. That went a long way to building my self-confidence. VPT: So, having someone to contact was hugely important. E: Absolutely. I always counted on being able to knock on his door, go in and receive the support I needed. VPT: You are also a thirty year now retired school teacher. Why did you volunteer at a hospice and not with children? E: (laughs) I think I needed to do something different. After my husband died so young, I felt like I wanted to do something that was meaningful. VPT: Did his death influence your decision to volunteer for a hospice? E: I don’t think so. It was over three years between his death and my decision to volunteer. VPT: How did you find hospice? E: I saw this ad, and I knew right then it was a way to fill my life with some meaning. VPT: So, there was no magic formula for recruiting you? VPT: Many people think hospice volunteering is depressing. Were you burdened with sadness? E: No. It was quite the opposite. It was fulfilling. VPT: Was there any opportunity for fun? E: Oh, my yes. I had so much fun with the staff. We let loose all the time. The seriousness of our work was a contrast to the silliness we experienced. I remember the time we made over 100 pumpkin pies for a Thanksgiving dinner in our care center. We laughed the whole time. Having that fun kept us wanting to do more, you know what I mean? VPT: I do. Was having fun a good use of your volunteer supervisor’s time do you think? E: Absolutely. Life is full of balances. The balance between serious work and letting off steam goes a long way to bond us together. It strengthened our team. VPT: I’m pushing here, but I wonder. Have you ever connected your losing your husband, the man you had planned on retiring with, and your work in hospice? E: Ehh, no. I just know that I had a lot of years to give and it was a way to fill my life with some meaningful work. But I do remember one year, I signed up to volunteer at a children’s grief camp. That day, while driving on the way to camp, I thought about all the little kids who were coming. They had all lost someone important in their lives and I had a little meltdown. I missed my husband. VPT: That must have been tough. E: I thought about these kids and it occurred to me that I went through this years ago. It brings something home. While I was there, we had a ceremony at night. I was really grieving for my husband. It comes when you least expect it. Sometimes you have an epiphany to a particular circumstance you’ve been through. It was almost like a total realization I had been through a significant loss and I released that. VPT: I’m at a loss for words. E: I even had grief counseling after his death. But my meltdown shocked me. I thought I had processed the grief. VPT: So, in retrospect, did your volunteering have a personal positive impact on you? Next time: Part 2 of this interview. Ellie moved away from her hospice, but she stopped volunteering before she moved. Why? What a lovely post! I can’t wait for part two! Thank you Katherine, I appreciate that very much. Ellie is so typical of the amazing selfless hospice volunteers I have had the privilege to work with. They made each day about the beauty of helping and learning, much like you do. Thank you for your incredible gift to those who are facing end of life.